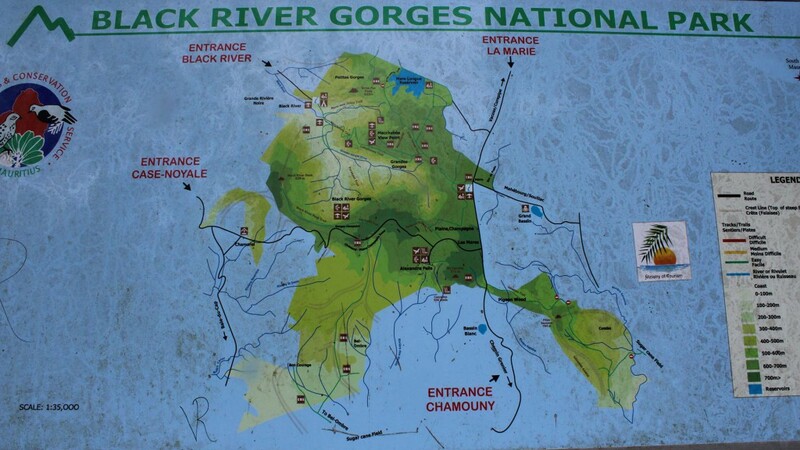 The Mare Aux Joncs trail is a very rewarding trail in the Black River Gorges National Park. 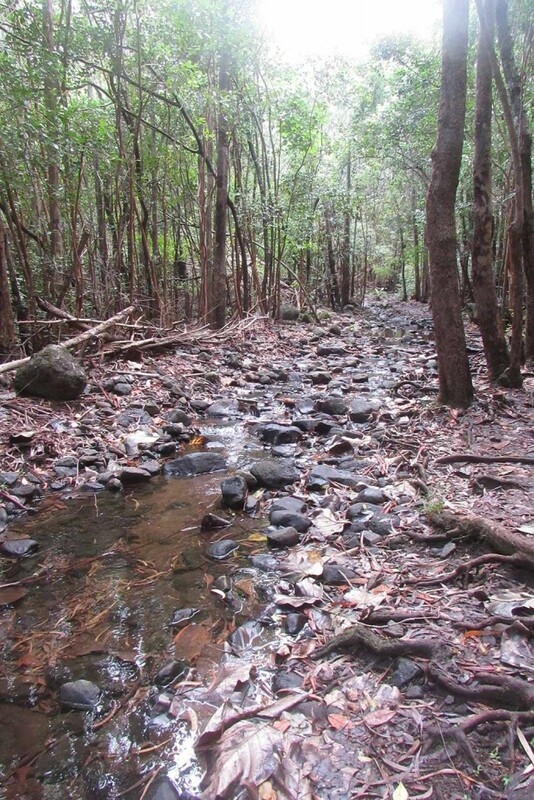 It’s got walking on rocks, crossing small rivers and hike your way up and down through forest. 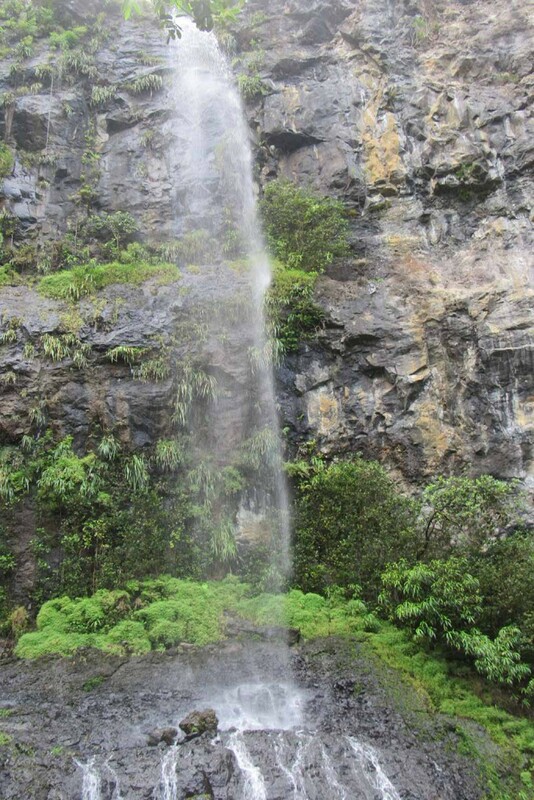 The result: A very beautiful waterfall to look upon. You have this crossings a lot. The path is very doable at times. About 3 times you will see this. See it as a sign you or on the right way! 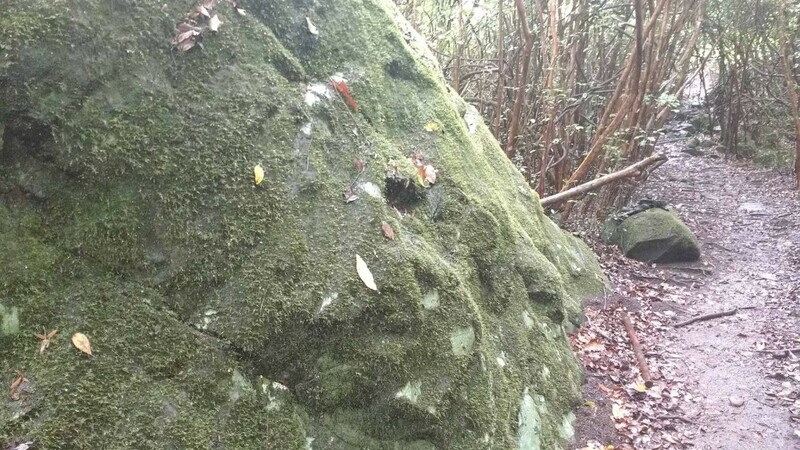 This green rock is the starting point for the last part. from here you will remotely climb up. 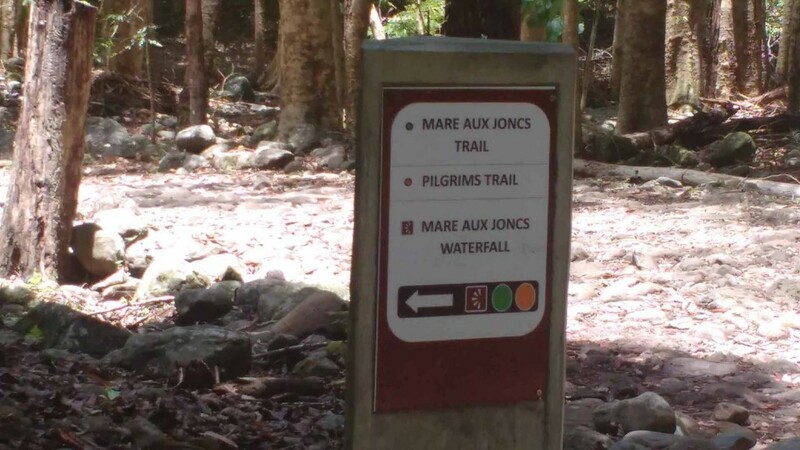 The Mare aux Joncs trail is going straight through the Black River forest. 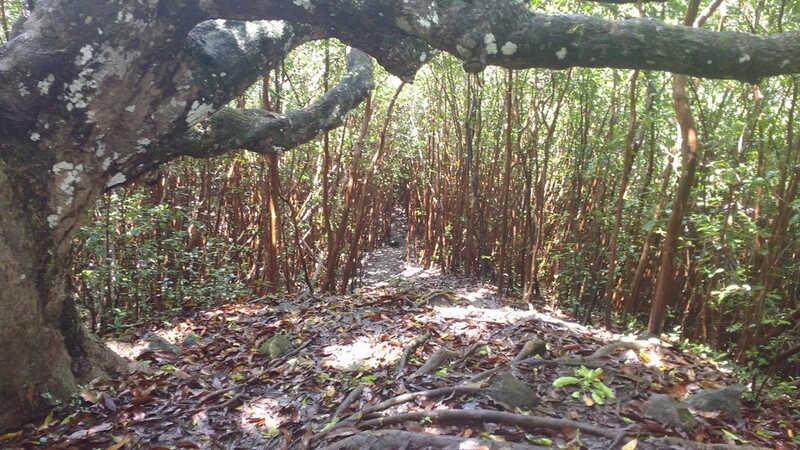 Most of the trail is at the lower levels of the forest. The first 3/4 of the path you will be walking on a path or on rocks. 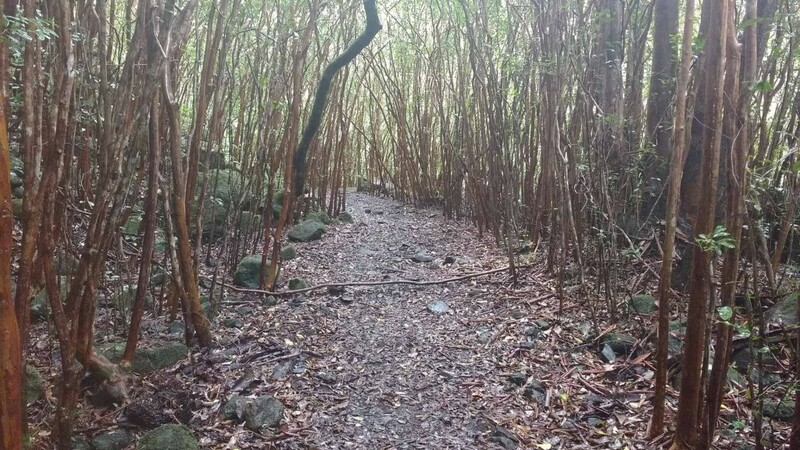 The final part of the trail exist of a hike up. This part somewhat more difficult, especially after or during some rain. The whole trail you will walk aside the river that will lead you to the waterfall. 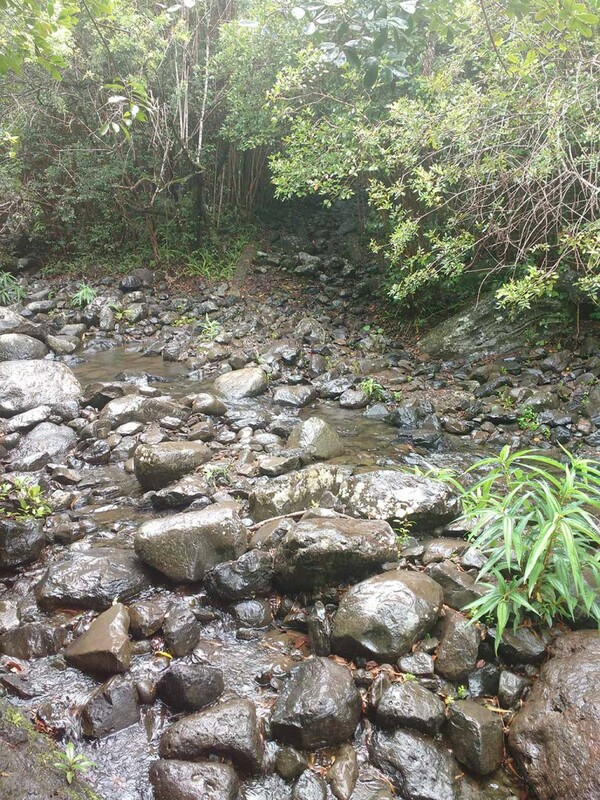 You will also cross this river several times, by jumping over rocks. 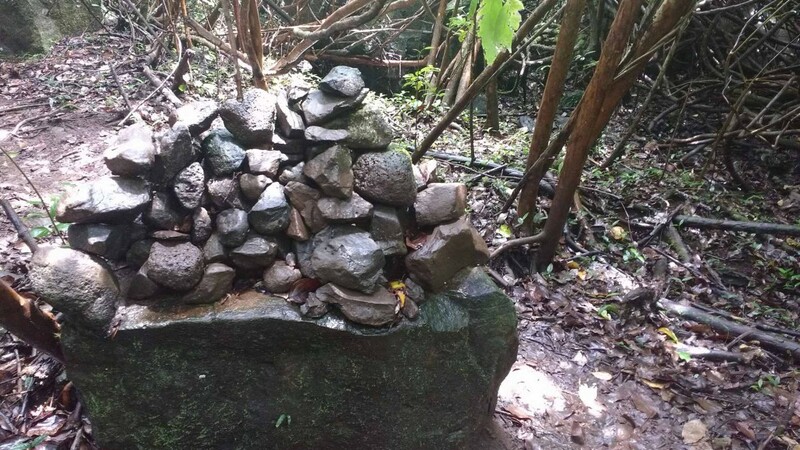 You will not have to go through tick forest during this trail, the path is mostly well enough to easily walk through. 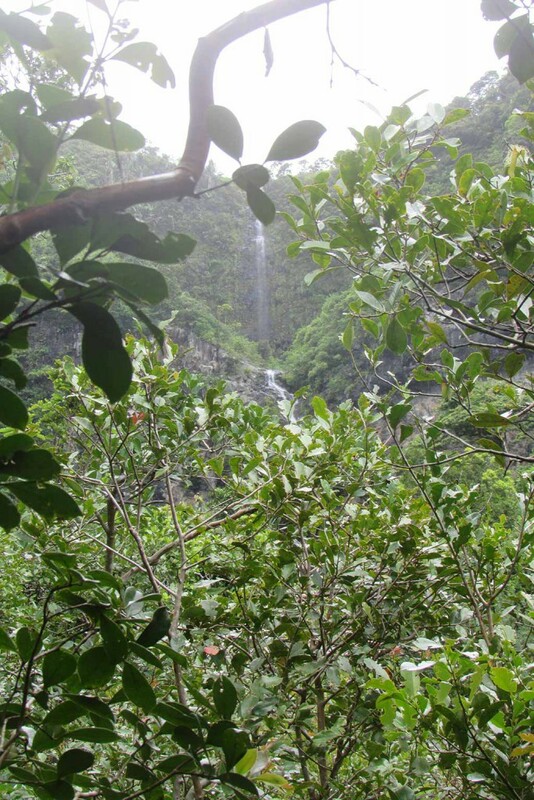 The Mare aux Joncs waterfall is the only waterfall in Black River Gorges that you have a view from the front, so you can see the actual waterfall. 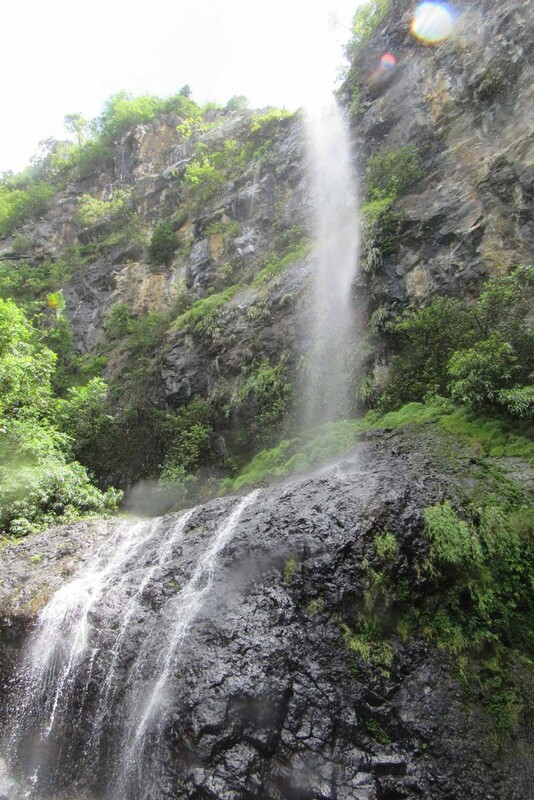 The other trails will lead you to the top of different waterfalls. 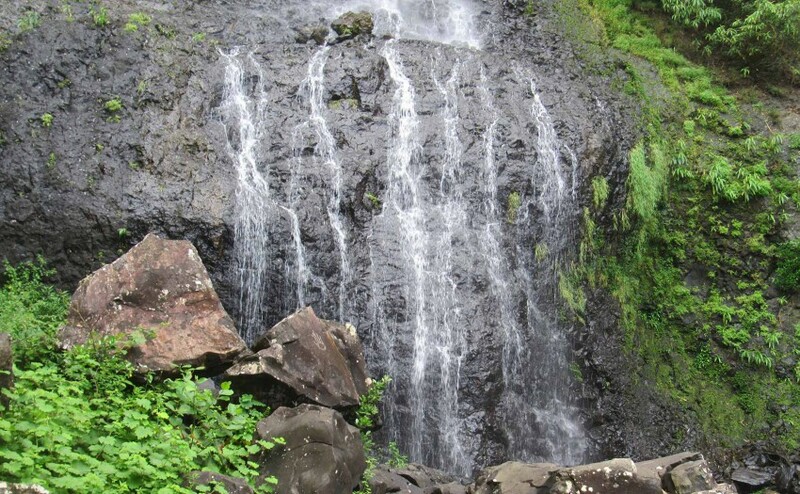 It’s a nice waterfall to relax, refresh and have a lunch before starting your way back. You can swim there as well, but it is not really easy because of the rocks in water. You will start and finish from the Parking space at the Riviere Noire/Tamarin entrance (in the west). From there you start walking into the direction of the kiosk. After about 0,5 km there is a junction where you will also find signs (3 to be exact) with Mare aux Joncs waterfall pointing to the left. Not far ahead you see a next junction where you can choose to take the Pelgrims trail to the right or continue the Mare aux Joncs trail. The trail is marked with red, orange and yellow flags sometimes on trees. There are some moments when they are useful, because sometimes it is not easy to find the path. If you are walking into a wrong direction however, you will quickly notice. 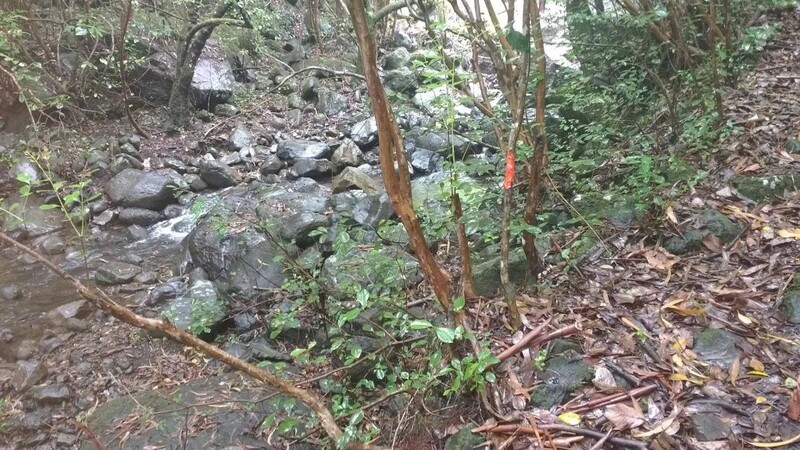 You can see that there is an actual ‘path’ leading to the waterfall.